During the week, my mama style is a tee and jeans. On the weekends, it's still jeans. 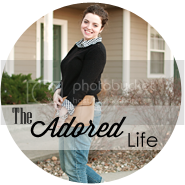 I just dress it up with a few layers:) Tunic tops are my saving grace during pregnancy! The fit through the trimesters, are forgiving, and are fun to work with! 1.) Comfy soft tees that you can dress up or dress down. I live in these. 2.) Lightweight scarves. 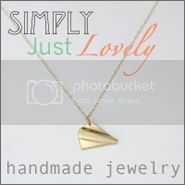 These are so easy to dress up a tee or complete a look without having to think. I have used these more times than I can count. 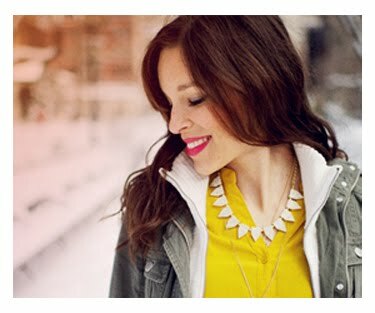 First, head to each of the hostess' sites beginning Monday, January 28th, check out their mama style posts, and follow their blogs! You will then link up on any ONE of the hostess' sites. Our link up will be interlinked which means that your post will be displayed on all of our sites. Grab a button, share your own mama style outfits and tell us how your style has changed since becoming a mama. The link up will run through Friday, February 1st. 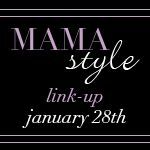 At the end of the link-up, we will each be choosing our 3 favorite mama styles to be posted on each our sites. Remember: you must follow all 8 hostesses in order to participate!! So grab a button, and go for it! I love that you mixed hot pink pants with an olive coat! I have been preaching about this color combo! Love it!! What a fun link party! I love and follow most of these blogs already and I'm excited to visit the new ones. I love your cute pregnant style. I have four little ones and I love to be stylish!! Aren't they fab? Such a great crew! such a cute idea for a linkup!!! i LOVE your mama style anna!! it's one of my FAVES!! LOVE those hot pink pants!!!! Very stylish. ooops! Fixed! Thank you so much for the heads up! I love the pink and tan together. 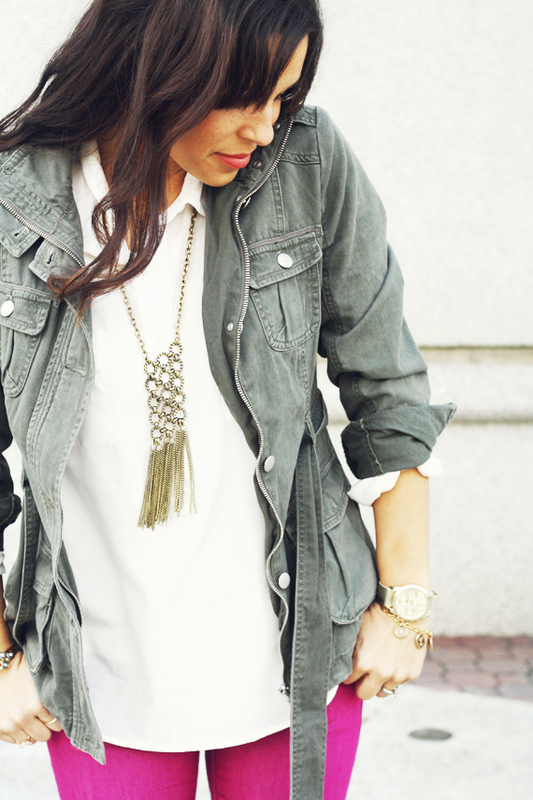 Love the bold denim and the jacket! Super Chic. 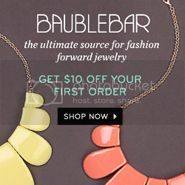 I'm your newest follower from the Mama Style hop! Look forward to reading more! Love the link up idea!!! It is something I have been seriously working on since having two babies. It helps you to not loose yourself while taking care of little ones you know? Thank you!! New follower from the link up!! and those hot pink pants are HOT!! haha Love them! those pants! colorful pants are about my fave thing. This is exciting! What a greeeat idea. Happy to come along :). Gorgeous! I think I have those jeans too! They are one of my favorites :) You are rockin' it! 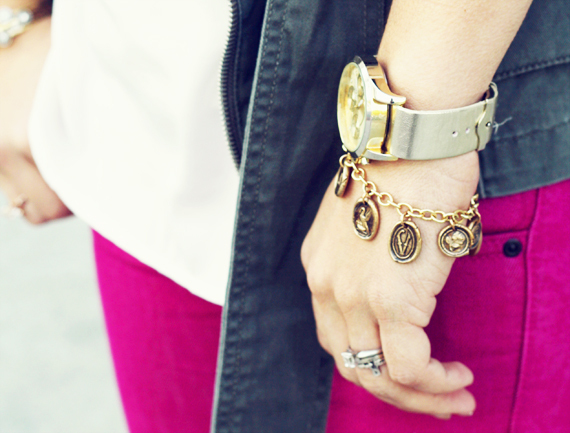 I love this pink denim and thanks for the link up! I'm so glad to meet someone who share the same passion for fashion. Just like you, I'm also a mom to a 4 year old. You look fabulous! LOVE the nails!!! This outfit and that manicure are pure perfection. You're amazing. I love this collaboration! You all have great style. 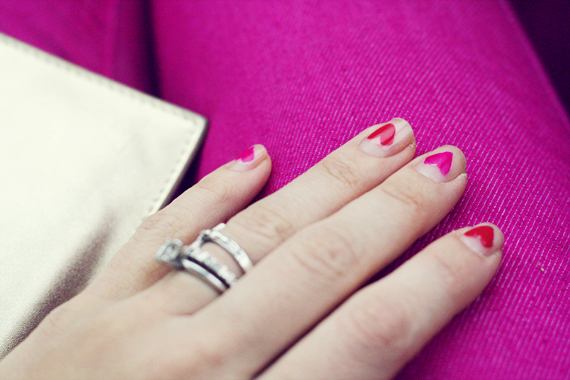 Cute idea for a mani Anna! I really need to get inspired. I have such a hard time getting out of leggings and sweats when I'm pregnant. You don't have any good tips for pregnancy jeans do you? I can't fit into my regular ones anymore. Ugh...I feel much more balloonish earlier this time around! Anna, I love, love, LOVE your pink jeans! That's what I would add to the list of must-haves would be great-fitting colored or patterned jeans. They add oomph to any look. I love how you styled your sleeves/cuffs too! Thanks for hostessing today!!! Girl, you have such great style. Those pants are out of this world awesome!! You look lovely dear and your nails are too cute! Such a cute look! Love the bright pants! When I'm a mama one day, I'll be taking advice from you-- such a pro at how to dress chic and comfortable. Your jeans are SO cute! Lovely outfit and awesome photography. You look darling! That bracelet is so precious too, I'll definitely have to check their website out. Love this outfit Anna! I have similar fuschia pants (not jeans, though, like ankle pants), and I think I have those exact same booties from the F21 sale? (zipper up back?). Fun! !